Welcome to the official website of Dirt Late Model driver Kenny Collins who resides out of Colbert, Georgia. Kenny pilots his #1 Longhorn chassis at many Dirt Late Model events across the Southeast. Outside of racing Kenny is the owner and operated of Collins Signs. 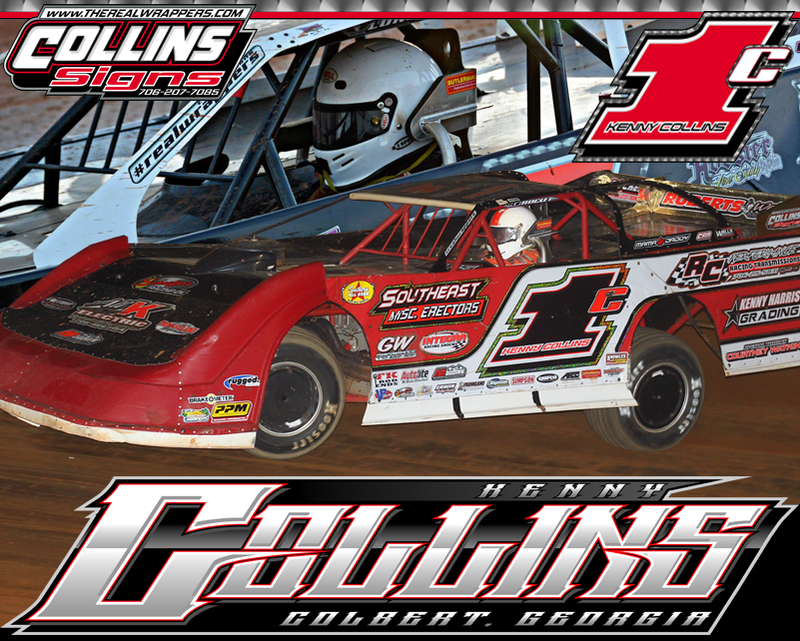 Collins Signs sets out to provide quality custom wraps, decals, signage, banners, logo design, and much more. Current sponsors include: Collins Signs, Erwin Racing Supply, Poole's Fab And Custom Bodies, Kenny Harris Grading, RC Performance Racing Transmissions, Schaeffer's Racing Oil, Schoenfeld Headers, FastShaft, Franklin Rear Ends, Southeast Misc Erectors, Hoosier By Brian, and Thomas Clarke Performance. Special thanks Johnny Doster and Patsy Doster for your support. Headline: Visit Collins Signs online at www.therealwrappers.com . Collins Signs sets out to provide quality custom wraps, decals, signage, banners, logo design, and much more. Let Collins Signs "The Real Wrappers" assist you today and make your company needs, racing needs, or personal needs have the style and look to impress.